Hi, I am a retired Army officer with 35 years of experience in the Indian Army and the corporate sector. Last year I decided to give back to the society in some way and thought if I can provide an excellent education to young kids from the under privileged sections of society, I would be able to contribute in a small way. 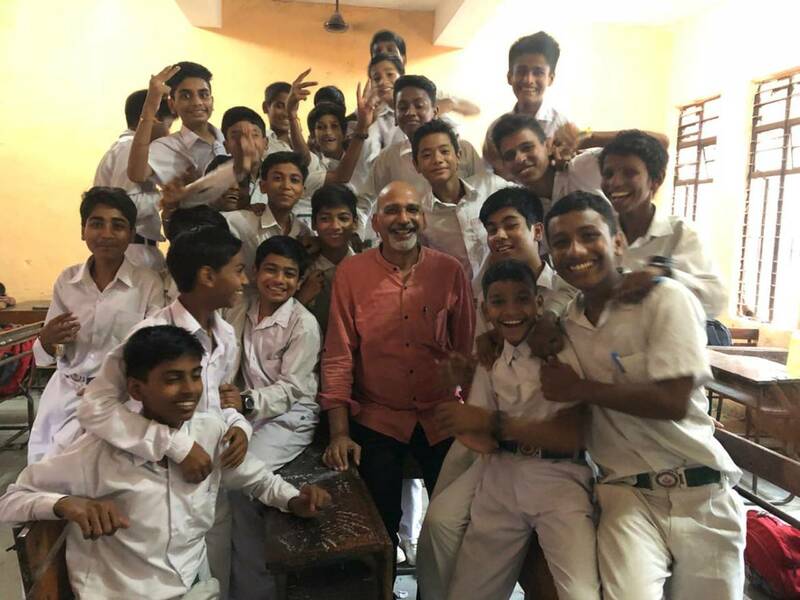 After trying to do a few things on my own and not being able to make much difference, I signed up with Teach For India, an organization that gives opportunity to people to teach in under privileged schools while providing support and guidance on how to do it. I am teaching science to 7th & 8th grade students in a Government Senior Secondary School at Saket, New Delhi since 01 Jul 2017. 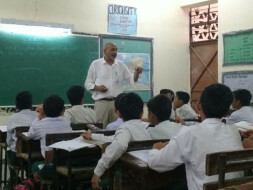 I have over 50 boys in each class, eager to learn new things every day in a safe environment. What I find different in my school compared to some of the high income schools, is the class room environment, the training aids available, lack of proper stationery, colors and paints. I feel pained to see that some of the kids don't even have proper tiffins and water bottles to eat their meals and drink water with dignity. The kids do not have access to a well stocked library with story books that they can read and ignite their curiosity. Through this medium, I am reaching out to my friends and well wishers and other people who may wish to contribute in uplifting the life of my kids. If feasible, I would like to make my class room as good as any Public School class room with better seating, smart boards, a laptop with projector so I can share the wonders of science and other subjects with my kids. I would love for them to have required stationery, their own lockers where they can keep their stuff, proper tiffins, water bottles and school bags. We would also love to create our library filled with story books of their choice and educational books and encyclopedias that ignite their minds. As I move towards the end of my fellowship, my students have progressed to 9th grade. It has been a magnificent journey and I probably got much more than I gave. I thank all my friends and donors who supported me on this awesome journey and helped me bring joy to these wonderful kids. Their one remaining unfulfilled wish is to see an IPL match live at the Ferozeshah Kotla stadium for which we are in the process of collecting funds from friends and well wishers. Hope that with your good wishes we will be able to achieve this dream. I would like to thank all my friends and well-wishers who have supported this cause. We are excited to start a new academic year and hope to continue receiving your support. A small contribution from your side can go a long way in someone's life. Do share this campaign further with your friends and family to help us in raising funds faster. I hope this little gift brings a lot of smiles on those kids. God Bless.